Published by jalbertini on May 28th, 2013 in Military, Radiation. Thank you for your work on a Hawai’i DU Fact Sheet. Enclosed is “CONCERNS ABOUT DEPLETED URANIUM (DU) IN HAWAI’I”, which I hope will be helpful. …the radioactive uranium oxide plume would…disperse, not uniformly around the county, but would rain fine oxide particles preferentially in the community winning that day’s radiation lottery. …The probability may be low, but the consequences may be high. I would add these concerns: DU that was never accounted for, questionable air monitoring, unauthorized Army activities with DU, Army proposals to avoid Nuclear Regulatory Commission (NRC) oversight, apparent misstatements in Army DU documents, and possible Army DU contractor bias. Thank you for considering this information. The Army didn’t know, or didn’t tell, about DU in Hawai’i, then was “outed” by citizens. The Army planned and conducted unauthorized activities in DU areas. The Army claimed the spotting rounds did not require a license, based on a RESRAD “computer model code designed to estimate radiation doses and risks” . “The Army is requesting that NRC not require environmental radiation monitoring plans. “The Army requests that staff not require monitoring when personnel or equipment exits the Battle Area Complex (BAX) Radiation Control Areas (RCAs) after training exercises because the Army did not detect contamination on personnel during BAX construction and because the Garrison does not have the equipment or personnel to support monitoring. “The Army requests relief from environmental monitoring at all DU ranges. “The Army states that [their directive]… does not prohibit firing high explosive rounds into areas containing DU. “The study the Army provided to support the license application concludes that there was plant uptake of DU. Concerns were raised about air monitoring methods. The Army’s DU contractor appears biased. Cabrera Services, which did studies and operations on Hawai’i DU, calls findings of little radiation risk, in Hawai’i and elsewhere, “successes”. Concerns have been raised about Army documents on DU. DU may migrate much farther than the Army claims. The plan may contradict previous Army statements that fires could NOT generate tiny DU particles. Only about 1,000 of the 51,000 acres of the Pohakuloa impact area were closely surveyed. 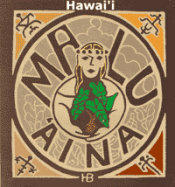 “To estimate the dosage workers in the area might encounter, the starting point [in Army reports on Hawai’i DU] was a radioactivity density obtained by dividing the estimated total amount of DU used in the training/firing area, by the area of the range to get the radiation per unit area. Sounds mathematically obvious, but let us (at least my fellow ancient mariners) think back to the cold war days of atmospheric testing of nuclear weapons in the upper atmosphere. With the assumption that the total radiation produced was divided by the surface area of the earth, it might have been estimated that the fallout would be at ‘safe’ levels. Unfortunately for this mathematical construct, many folk bought Geiger counters and checked around their neighborhoods, thousands of miles from ‘atmoshpere zero’. The meters would give an occasional ‘beep’, then the detector would pass over a tiny speck of ash and the speaker would go crazy, the needle would ‘peg out’ at maximum radiation level for the meter. There is no “safe” level of radiation. “The present industrial standard to my own experience, is ‘ALARA’, an acronym for ‘As Little As Reasonably Attainable’. This is because in the past, the published ‘safe’ doses were adjusted downward by huge factors (e.g. to 1/3 last values), and it was finally realized that there is no ‘safe’ level. Each bit of exposure increases risk of biological damage. And workers on the range (and possibly citizens outside) are subject not to average levels, but the fluctuations along their daily path. DU increases in radiation over time. DU may contain other isotopes. Over 2,000 spotting rounds may have been fired at Pohakuloa, based on three lines of evidence: old training manuals, the number of pistons found, and the Archive Search Report. Councilmember Hoffmann Is there any possible support for a figure of 2,000 spotting rounds at PTA? Instead of 2,000 spotting rounds, only a few rounds and fragments were found. Cabrera speculated the missing rounds had been cleaned up. The number of DU spotter round bodies, aluminum fin assemblies and DU fragments are much fewer than would be expected given the total number of pistons which were identified. “…the “ENVIRONMENTAL RADIATION MONITORING PLAN FOR DEPLETED URANIUM AND BERYLLIUM AREAS, YUMA PROVING GROUND” (Ebinger and Hanson, Los Alamos Report LA-UR-94-1838, May 11, 1994) prepared for the U.S. Army Test and Evaluation command [notes]…fired rounds have the propensity of skipping across the surface, like a thrown stone skipping across water, ending up at distances much greater than the calculated range of the munitions. Aerial searchers looked for highly visible back/ rear plate assemblies as markers for old spotting round areas. This might leave back/ rear plate assemblies on the truck instead of on the ground. Hazardous disposal practices were used during the spotting round era. Contrary to the Technical Memorandum, DU seems to be present, and in the dangerous oxidized form, and mobile. “The report makes a comment that from the soil sampling done at PTA, there is no evidence that DU is present. This is based upon isotopic analysis of uranium and that the signature is not consistent with that of DU. The activity ratio of natural uranium 234/238 is 1, suggesting secular equilibrium. The activity ratio of depleted uranium 234/238 is 1:5.5, a lower value, and up to the reader to determine degree of significance. Of the 9 samples listed in Table 4-1, three have activities of 234-U below that of 238-U. Sample 4011 is 25 percent lower. A reasonable challenge to the “no DU” statement can be made based on the analytical results and the method of sample collecting. As the sample could be integrated over time and derived from several locations, it is very likely a mixture of natural and DU contaminated soils. Thus, DU is not only present but it is mobile! …The report states (page 2-3) “The visual and scanning surveys identified no distinct surface areas with yellow, oxidized DU metal fragments.” Yet the figure Photo 4-1 (page 4-7) clearly shows a partial metal DU fragment of a spotting round with yellow coloration on its surface. Later (page 4-8), the report states that only very minor oxidation is present, but again the subjective characterization is open to interpretation. Regardless, there is oxidation present and the oxidized form is readily converted to aerosols and thus available for migration. Helicopter searches may have failed to find DU because rotor wash blew it away. I would make comments on the technique used, and on the data for alpha spectrometry presented in the report. The soil sample analysis method may have been inappropriate. I assume that this meant to be “ASTM-D3972”, which is a protocol for testing water samples for U. Water samples differ from soil samples, especially if trace alpha emitters are the focus. The protocol cited is not valid. How was a weightless sample obtained for the alpha spectroscopy? Aerial survey methodology may have been inappropriate. Blann recommended a “more sensitive assay of ground radiation”. “Solid angles: The altitudes cited were of 3-4 meters height. NaI detectors are usually right circular cylinders with PM tube mounted at the top of the cylinder with suitable reflector/light pipe. Resolution is poor for these detectors (e.g. vs. (HP)Ge), and the photoefficiency for the 2 gammas of interest is not cited- a guess might be around 0.4 (40%). Lacking the data on detector geometry, we might generously assume a cubic 4 liter crystal, so that one face would be 252cm**2. At 3 meters height, the area of a sphere would be 1.13×10**6 cm**2 ( 1.13 million square centimeters), so the solid angle of one NaI detector would be 2.2*10**(-4) . At 4 meters altitude the solid angle would be reduced to 1.25*10**(-4). Count rates required for detection: The report states that the detector system travelled at 2-3 m/sec, with countsbeing taken at 1 second intervals. My own guess is that a minimum of 50 counts of either gamma would be required to resolve the appearance of a possible peak rising above the Compton scatter plus cosmic ray background. Trying to concentrate analyses of these gammas on just’ regions of interest’, without a proper unfolding of photo/Compton responses, beginning at the highest energies and working down, or by simultaneous least square fitting, is to my opinion asking for questionable results. If the solid angle is 2.2*10**(-4), the BR( branching ratio) is 0.294, and the photopeak efficiency of the detector is 0.4, the number of dps necessary averaged over the 2-3 meters travelled, will be (50 counts detected)/[(0.4 photopeak efficiency)*(0.00022solid angle)*(BR=0.26 or 0.008)= 1.7*10**6 or 5.5*10**7 Pa234 dps. Since there is transient equilibrium with 238U, 234Th and 234Pa- and 234U, the actual dps implied will be triple these numbers. If the altitude during sampling were 4 m, these numbers would all be approximately doubled due to reduced solid angle. I have not divided by 4 due to use of 4 detectors, because I believe that each will require the 50 counts to be able to separate peak from background. If better detail had been given in the report, this point could be based more on fact than experience. From this exercise I deduce that the gamma ray measurements would only yield positive detector response if the average ground radiation levels were 4.5 milliCuries for the 1001 keV gamma, or nearer 0.15 milliCuries for the 766 keV gamma. Difficult, dangerous conditions prevented a thorough search at Makua. Some identical text appears in reports for different sites. Identical photos—with different labels—appear in reports for different sites. Again, difficult, dangerous conditions prevented a thorough search. Surface scrapes of ash, soil, twigs and sticks were substituted for ash samples. Some post-burn samples were collected away from pre-burn sample sites. Pang says the study shows DU contamination and numbers were too small for analysis. There are contradictory statements about the size of DU remnants. The Army did not do monitoring as promised. Concerns were raised about a civilian report. DU was found at the detection limit of the technique, so the actual measurement could range from zero to twice the measured value. Particle size was not measured, though smaller particles are more hazardous. There was only one sample. DU from spotting rounds may ignite spontaneously. Wildfires and controlled burns may disperse DU. Animals may carry radioactivity out of RCAs (Radiation Control Areas). At Hanford nuclear reservation in Washington state, rabbits, mice, wasps, flies, and gnats have become contaminated. In 2009, 33 contaminated animals or animal materials (such as droppings) were reported on the site. A new water well is not being checked for DU.